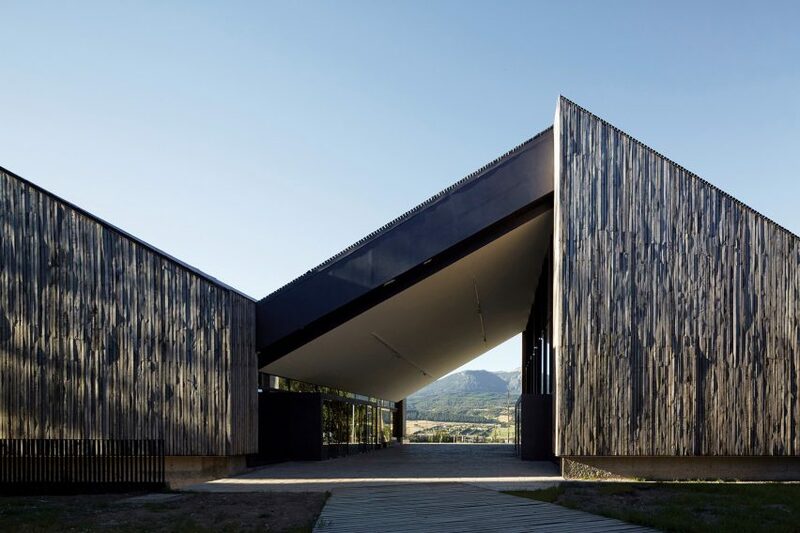 The ridged roofline of the Museo Regional de Aysen by Tirado Arquitectos and Bbats Constulting Projects references existing historic buildings on the site, and creates a sequence of dramatic internal spaces. 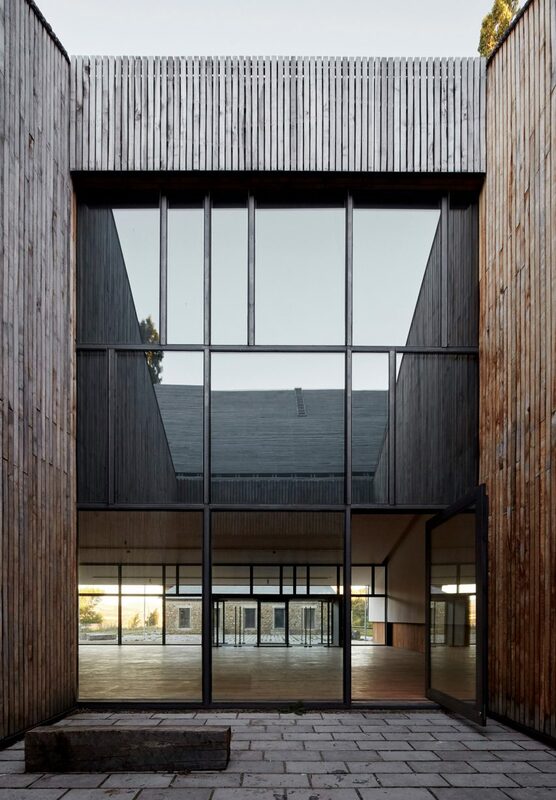 Santiago-based studio Tirado Arquitectos was commissioned by the regional government to develop a museum on the historically important site, where settlers established a sheep-farming community in the early 20th century. The community grew into the city of Cohaique, which is now the capital of the Aysén Region and the gateway to some of Patagonia’s most remote areas. The historical significance of the site, and its remaining original buildings meant that an important focus of the project was the preservation and repurposing of these simple wood and stone structures. 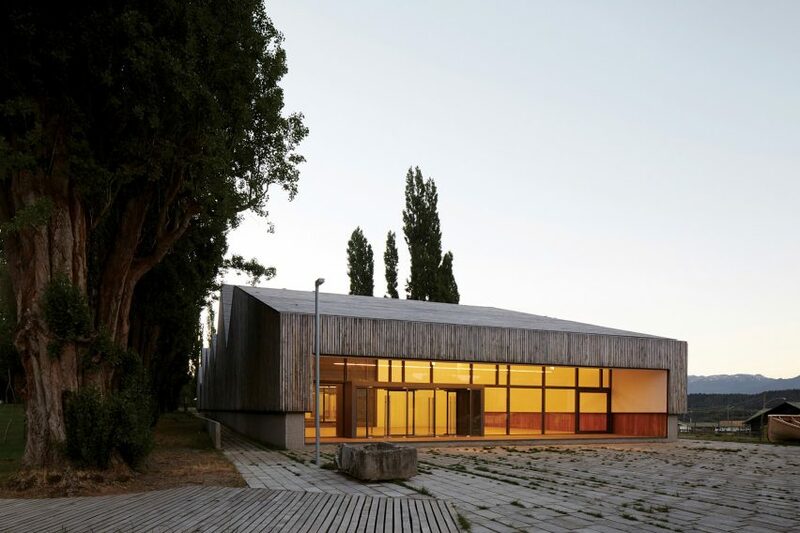 The studio headed by architect Cristóbal Tirado also sought to ensure that new interventions are in keeping with the existing hierarchy of the built structures on the 2.6-hectare plot, as well as their relationship to the natural setting. The first stage of the project focused on returning the site to its original state by clearing away any incongruous later additions and reinstating the historic site plan, with buildings arranged along either side of an old road. The new building was designed to house the largest of the museum’s exhibition spaces and is intended to sit inconspicuously within its heritage context. The elongated structure occupies the site of several derelict farm buildings that were demolished due to their poor condition. Its massing references these predecessors, as well as the proportions of the preserved workers kitchen. 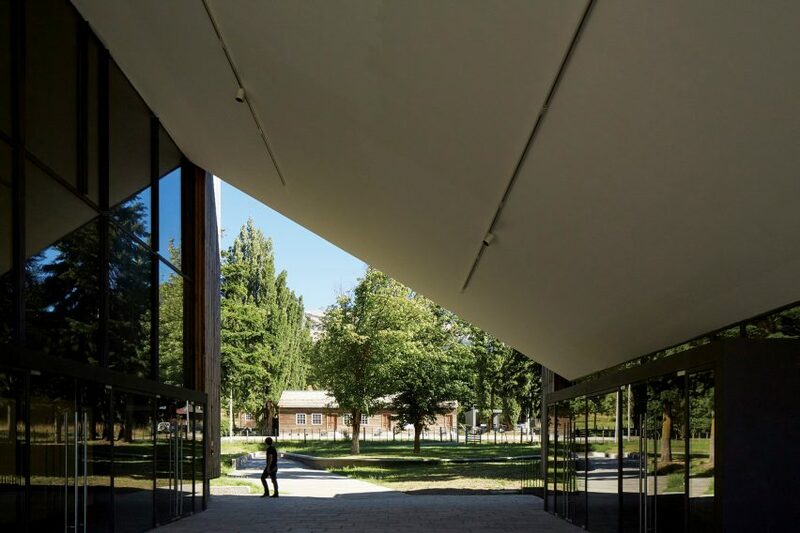 The building is constructed as a single monolithic volume featuring a roof with varying pitched sections that are directly informed by the angles of the other heritage structures on the site. 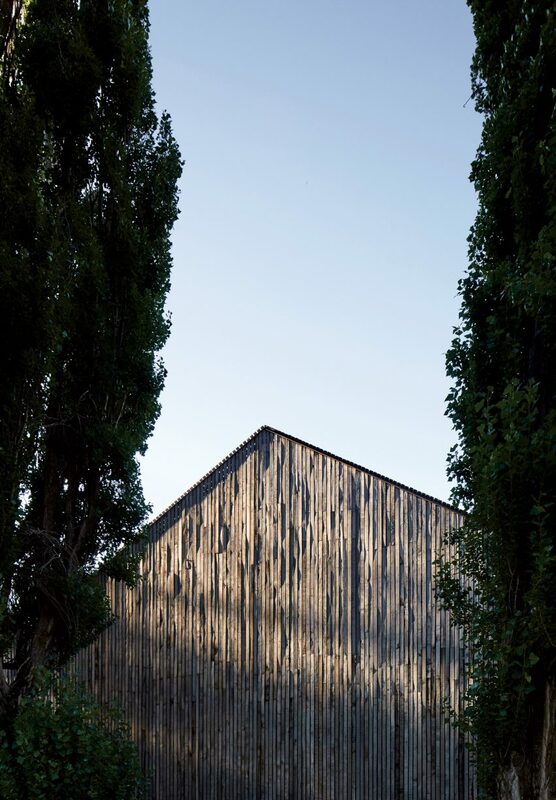 The timber-clad volume rests on a continuous concrete plinth and is wrapped in batons of lenga wood, which is native to the southern Andes range and will gradually weather to help the building blend in with the surrounding nature. 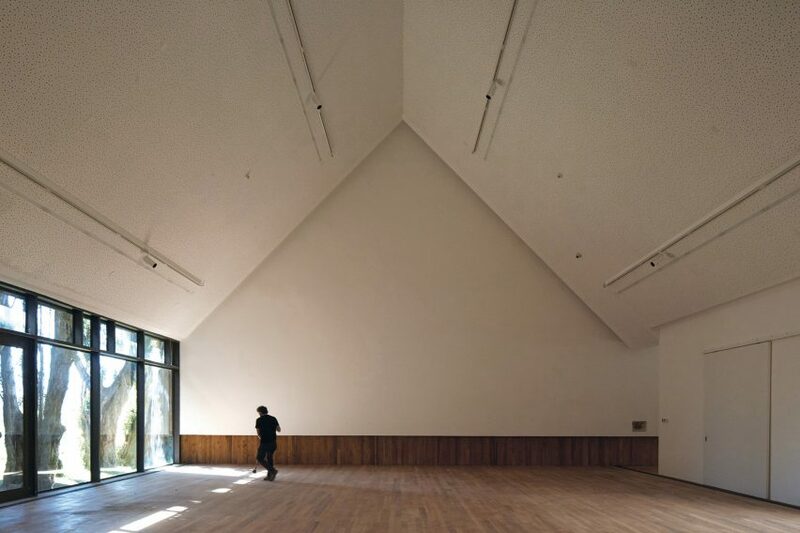 The same wood is used to create a consistent flooring surface throughout the building’s interior, which is arranged as a linear sequence of interconnected rooms featuring uniform white walls and ceilings. The various rooms are given a unique quality by the dramatically different roof forms. 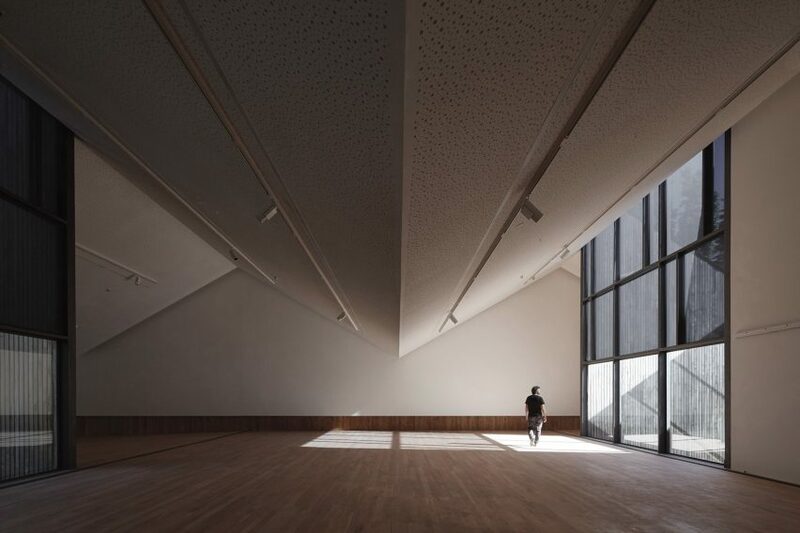 The varying pitch of the ceilings determines the character of the different exhibition spaces, which are joined by a reception area and an auditorium. Glazed partitions used to separate the rooms feature metal frames with staggered vertical elements. The glass surfaces provide a visual connection with the adjacent patios and courtyards whilst allowing daylight to flood into the exhibition spaces. As part of the project, the team developed a proposal for the landscaping around the new and existing structures that seeks to restore and consolidate the historic properties of the site. Groves of trees and fruit farms will be preserved and maintained, while different grasses have been sown to separate the park from the old road. Trees will also be planted to enhance the separation of the museum and the park from the nearby city.